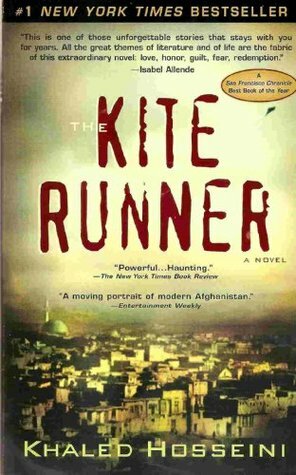 The Kite Runner of Khaled Hosseini’s deeply moving fiction debut is an illiterate Afghan boy with an uncanny instinct for predicting exactly where a downed kite will land. Growing up in the city of Kabul in the early 1970s, Hassan was narrator Amir’s closest friend even though the loyal 11-year-old with “a face like a Chinese doll” was the son of Amir’s father’s servant and a member of Afghanistan’s despised Hazara minority. But in 1975, on the day of Kabul’s annual kite-fighting tournament, something unspeakable happened between the two boys. 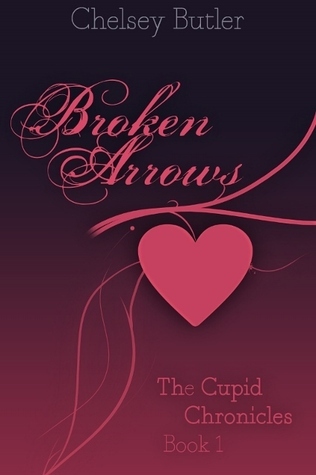 So, I knew that this book has received a gazillion positive reviews, everyone loves it and it has 4.20 stars on goodreads. Still, I had it on my shelves since my birthday on 2009 when my mother had given it to me as a present saying that it was the best book she’d ever read. And I left it on my shelf for 4 years. 4 whole years it was sitting on my shelf and I didn’t even care about it. Why am I telling you this? Just to show you that I was almost positive I wasn’t going to like this book. Why? I don’t f-ing know! I thought it was going to be a melodramatic (which it was), heavy (which it also was) and boring (which it wasn’t AT ALL) story. The story of two boys, two friends whom life brings apart. I never thought this could make for such a book. Touching. Sad. But also motivational and hopeful. 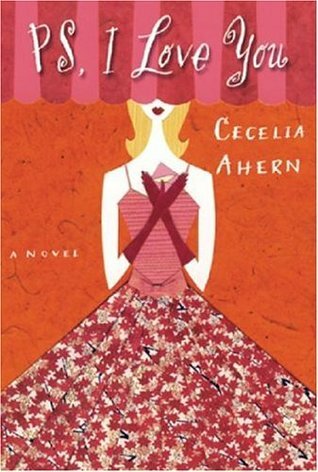 This book was everything I didn’t expect it to be. It blew me away and it’s a book I will remember for a long time. The highlight of this book is definitely the author. His writing style. His talent. Above all I admire his ability to write all these things, that must include a lot of personal experiences and trigger many feelings, with such political neutrality. There wasn’t any point in the book where I could feel the author taking a stand. Choosing who the good and who the bad guys are. It must take a great deal of strength to be able to do that. To be able to write about something that has affected your own life so much and still watch it as if you’re on the outside, looking in. I can’t do anything, but admire such strength and self-control. Because of all the injustice. Because of everything that shouldn’t be happening, but still happens. Because of everything that people among us have to go through. Because it’s not fair. By everything that humans are capable of doing. Being capable of hurting so many people just to achieve a certain goal – usually money. Being willing to destroy thousands of lives, children, families, just to earn more money. And, what’s even more scary, being capable of transforming all those things under the mask of “the greater good” or even “self-protection”. It’s unbelievable how far humans can go. Of all the things that can tear two people apart. Nationality differences. Skin-color differences. Religion differences. Why do all of these even exist? Of the author. Of his writing style. Of how he managed to make everything seem so real. To describe everything in such detail without making the story boring. To be able to use such long narrations and monologues, but keep the story direct and alive. He has an incredible talent. By everything that is happening in this book. It’s happening all around us in the real world and we just choose to close our eyes to it. Even though the story is so sad and could even be described as depressing, I feel motivated. I feel like this book has changed me. I feel like it’s my responsibility to do something. To change something. To help someone. I don’t what else there is left to say. I hope I convinced at least one of you to read this book. It’s something I truly believe everyone should read and everyone would be able to admire and respect. A powerful story and a beautifully written book. The power to forgive, forget and move on could not have been depicted any better. Everyone over the age of maybe 15, due to violent content. 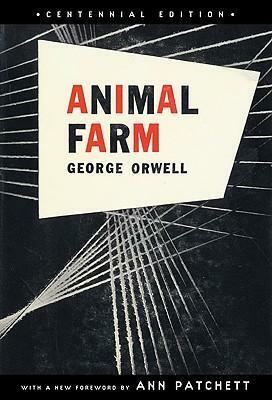 Tired of their servitude to man, a group of farm animals revolt and establish their own society, only to be betrayed into worse servitude by their leaders, the pigs, whose slogan becomes: “All animals are equal, but some animals are more equal than others.” This 1945 satire addresses the socialist/ communist philosophy of Stalin in the Soviet Union. After trying for several times to write this review, I have decided that I will just write what comes to my mind right now and just keep it short, simple and sweet. I was really taken by this book. There were moments when all I could do was stare at what was standing in letters right in front me and only think “What?… What the?… How?… How is this even possible?…” I have to say: “George Orwell, I take my hat off”. He managed to describe everything that is right and wrong in our society through describing an animal society. This book left me wondering how are we really different? Man and animal seems to be one and the same. Sorry if I’m becoming a bit philosophic here, but this book really provokes these kind of thoughts and questions. It was also relatively easy to go through, as it was very small and also used a quite “easy” writing style. I have to say that I was really glad this book wasn’t longer, because even though I did appreciate all the thoughts and meanings of this book, it still was not exactly my kind of thing. I admit, I’m used to reading a lot of young adult and action packed books, so this one was very far away from my comfort zone. But I’m happy I gave it a try! It also feels nice somehow to read something completely different every once in a while. I “appreciated” this book, but didn’t exactly “like” it. George Orwell is definitely a genius with a great imagination. I don’t regret reading this in any way! To be honest, I found nothing appealing in this book. For the first 50 pages the story was incredibly uninteresting. Then there was a change in plot, as the protagonist started narrating his story, which is actually the story of the book. So why exactly did I have to read all those 50 pages of unimportant details? Anyway, I thought the story was going to pick up after that, but it didn’t. At least not in the next 50 pages at which point I decided to give up and start reading something else. So I obviously had major issues with the plot, but it was also the characters I had problems with. 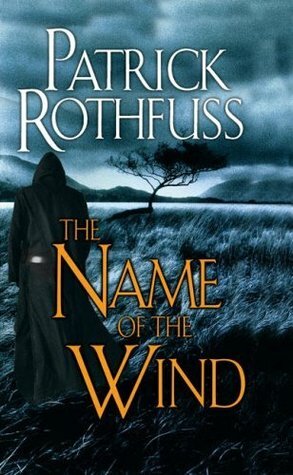 The main character and narrator, Kvothe, is really arrogant and full of himself, in my opinion, which pretty much annoyed me. Up to the point where I stopped reading there weren’t really any other important or interesting characters. At least no one stood out to me. So considering that this book is 722 pages long, the second one more than 1000 and there’s also a third one to come, I decided to stop wasting my time. In defense of the book let me add that this is not something I would just see on a shelf and think that I might like it. I had just heard a lot of good things about it and thought I’d give it a try, but from the beginning I was not sure if it was going to be something I would like. And it wasn’t. This is a scary scary world! And the scariest thing about it is that this is the world we live in! Okay, I’m exaggerating a little. 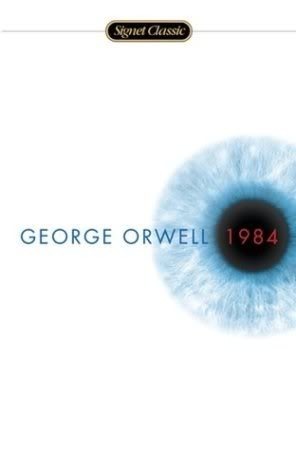 1984 describes a world where everything is controlled by the government: living, working, talking, sleeping, procreating etc. If the government says that 2+2=5 then it is true. It doesn’t even occur to anyone to question it. You are not even allowed to think otherwise because Big Brother is watching you. Privacy is, of course, non-existent and if you do anything that goes against the government, you get arrested, killed, and deleted from every file. You “evaporate“. It’s like you never existed. Even the slightest change in your face expression can betray you, which will lead to your evaporation. All of the above is, of course, not really a problem, because almost no one ever thinks about questioning what the government says. Ignorance is strength, and after all, Big Brother would never do anything that isn’t in the best interests of everyone. This sort of world is frighteningly familiar, because it is so similar to the way our world is turning into. 1984 is a book that has changed me forever. And if there was one thing I loved about it, that would have to be the ending. Which was refreshingly, realistically, wonderfully unpredictable. The explanation for this shocking state of affairs takes us out of suburbia- back before the Detroit race riots of 1967, before the rise of the Motor City and Prohibition, to 1922, when the Turks sacked Smyrna and Callie’s grandparents fled for their lives. Back to a tiny village in Asia Minor where two lovers, and one rare genetic mutation, set in motion the metamorphosis that will turn Callie into a being both mythical and perfectly real: a hermaphrodite. 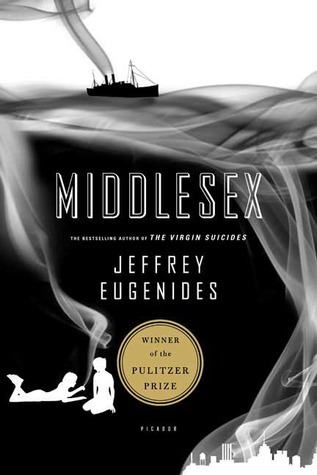 Spanning eight decades–and one unusually awkward adolescence- Jeffrey Eugenides’s long-awaited second novel is a grand, utterly original fable of crossed bloodlines, the intricacies of gender, and the deep, untidy promptings of desire. It marks the fulfillment of a huge talent, named one of America’s best young novelists by both Granta and The New Yorker. At first I was hesitant to read this book, mainly because I don’t usually read adult non-fiction and this one was also a quite massive book. As it turned out, though, I really enjoyed it and it was much, much easier to read than I thought it would be. Not that it was anything like the fast-paced young adult books I usually read, but the language used was quite easier to read as I had imagined and the content of the book was very interesting. The narrator of the book is Cal Stephanides in his adult age. In spite of that we experience very little about his life now, as he mostly narrates the lives of his grandparents, parents and of himself when he was still a little girl. And yes I meant to say girl. Cal Stephanides was born and raised as a girl and only later in his life does he realize that he was actually born a hermaphrodite and decides to continue his life as a man. Don’t worry there were no spoilers in this and just now, as I’m writing, I realize that there’s almost nothing I can tell that will spoil anything of this book. Just because the ending is obvious from the very beginning of the book. It’s the story that matters. The events that led Calliope Stephanides to change her identity into that of a man. The story begins in the early 20th century in Asia Minor and Cal narrates the story of his grandparents as if he was there and knew everything that was happening. So in the beginning of the book we meet Cal’s grandmother (Desdemona) who actually evolved to my favorite character of the book. To me (coming from Greece) Desdemona felt like a real person. She reminded me of my own grandmother and the stories she used to tell of when she was little. So I guess the praise here goes to the writer, who managed to understand and describe accurately the every-day life and the traditions of Greek people of that time. Later in the book Desdemona and her husbant migrate to America and slowly the focus of the story starts shifting from them to their children (Cal’s parents). When I realized this was happening I was sad, because I didn’t want to stop reading about Desdemona! 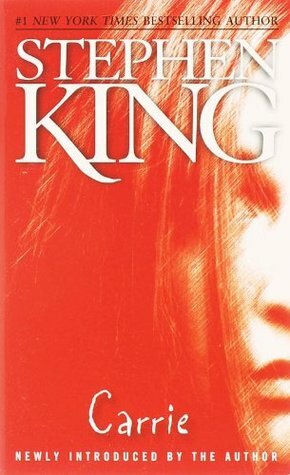 But even though my favorite character no longer had a lead role, I continued enjoying the book and the plot was getting more and more interesting! I don’t really have anything negative to say about this book. The reason I gave it 4 stars, instead of 5, was that I was at times wishing I had something more fast-paced to read and for that reason skipped the narration at some points to get to the dialog. But this only had to do with my own reading habits and the books I’m used to reading. 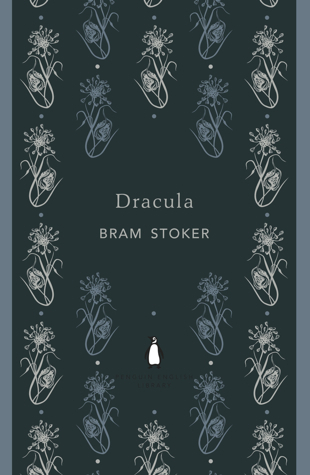 The vampire novel that started it all, Bram Stoker’s ‘Dracula’ probes deeply into human identity, sanity, and the dark corners of Victorian sexuality and desire. When Jonathan Harker visits Transylvania to help Count Dracula purchase a London house, he makes horrifying discoveries about his client. Soon afterward, disturbing incidents unfold in England—an unmanned ship is wrecked at Whitby, strange puncture marks appear on a young woman’s neck, and a lunatic asylum inmate raves about the imminent arrival of his “Master” —culminating in a battle of wits between the sinister Count and a determined group of adversaries. There are so many vampire books out there, so I felt the need to read this book in order to find out what it was that started it all! The first vampire book with the original count Dracula myth! This is also the first classic I have ever managed to finish! The whole book is written in the form of journals and diaries of several people involved in the story. The beginning of the book, was narrated by Jonathan Harker’s point of view as he visited Dracula’s castle in Romania. This was in my opinion the most interesting part of the book and I was immediately hooked. 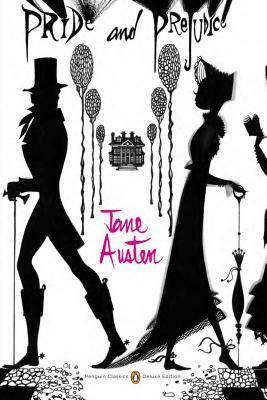 As I continued reading though, the point of view shifted from Mr Harker to his fiancé, Mina, in England and the story started growing slower and less interesting. This pace continued almost until the end of the book, sometimes becoming a bit faster, but in general pretty slow. I did enjoy Mina’s character though. Keeping in mind that this book was written in the late 19th century, when a woman’s role was mainly to be a wife, Mina was much more independent and powerful. Even though women were considered and sometimes even expected to be weak, Mina was quite strong, making her own decisions and speaking up even in a room full of men! She was always freely saying her opinion which was taken into consideration and respected by everyone in this book. What I felt missing from this book was the perspective of Count Dracula. He was supposedly the main character of the book and we only get to see him through the eyes of others. I would definitely like to learn his side of the story and also his thoughts, plans, motives and actions. The movie is also nicely done and quite accurate to the book. Check it out at imdb. All in all I did appreciate the book even though it wasn’t exactly my taste. If you want to find out what a real vampire is like and enjoy classics, definitely give this book a chance! On the other hand if you enjoy fast paced action/thriller books, this is not the book for you.